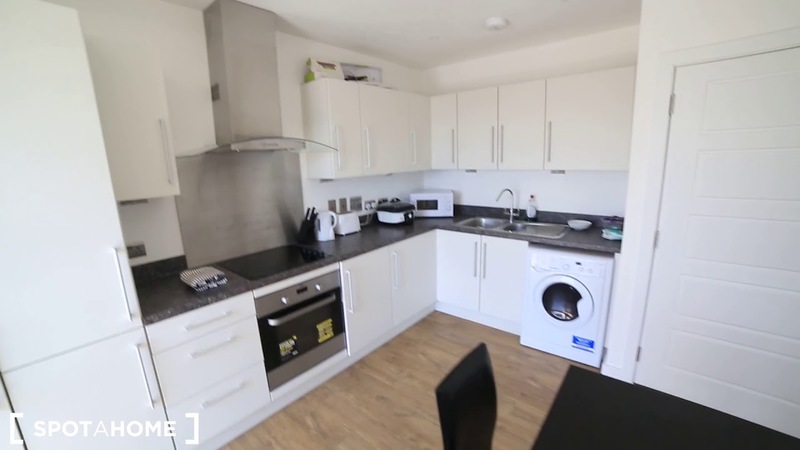 Rooms are available for rent in a 4-bedroom flat in Beckton, London. There is a spacious kitchen with an oven, electric stove, dishwasher, and washing machine, as well as a dining table and chairs. The room also opens up onto a private balcony with views over London, while the bathroom has a toilet, sink, and bathtub. The flat is right beside the River Thames - you literally couldn't be closer! There is also a small supermarket a few minutes' walk away, and a DLR station too. The flat has a private balcony with a view of London. A dishwasher means you won't have to do washing up. There is a bathtub - perfect for bubble baths! There is a DLR station a 6-minute walk away. The cost of council tax is shared between tenants and will be approximately £20 - 25 per month. If you prefer, it is possible to deduct the cost of council tax from your deposit. Gallions Reach DLR station is a 6-minute walk away. There are also several bus stops here.